We currently build custom homes, undertake whole house or large-scale renovations and offer On Your Lot building programs throughout Central Maryland in the following counties: Anne Arundel, Howard, Montgomery, Prince George's, Calvert, Charles, Baltimore City and County and Queen Anne's. We'd love to learn more about your needs and tour some recent projects with you, so let us hear from you here. We are pleased to offer our Executive Series homes on six homesites now available along Old Fort Rd at Indian Head Highway. Prices start from the mid $400’s. These homesites back to woods and offer lots of privacy, luxurious finishes, numerous customization options on plans up to 4300 base sq. ft., walk-out lower levels and more. Great location minutes to National Harbor, DC and Northern VA. Contact our sales team today to explore your options and start the process of building your dream home! New Home Subdivision of six custom homesites. 1/2-acre lots in Wilde Acres off Atlas Rd in Clinton. Minutes to Beltway, Charles County and Washington, DC. Several plans and elevations to choose from. Contact us today to explore your options. Priced from the $460’s depending on plan and options selected. Lovely 2.2-acre lot located in highly sought after Woodmore development of luxury homes! Perfect location for a secluded yet convenient dwelling. 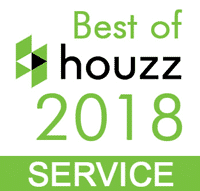 Build our award-winning Hawthorne model today! Build your dream home in a convenient location! Lots 6 and 7 sold together. Quiet wooded neighborhood! Great 1/2 acre lot in newly established neighborhood, with underground utilities, sidewalks and street lights. 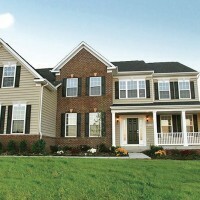 Our gorgeous Severn model will feature a brick front and numerous plan options to enhance your lifestyle. Priced at $493,900. Build your dream home! USDA eligible, 0% down. Great 2.5 acre private wooded lot away from road, located in a subdivision of custom homes and conveniently located minutes from Route 301 and 10 minutes from downtown Upper Marlboro. No sewer and water fees and Perc approved. Must see! Popular White Oak II model in an established neighborhood. Lovely homesite is the perfect place to call home. 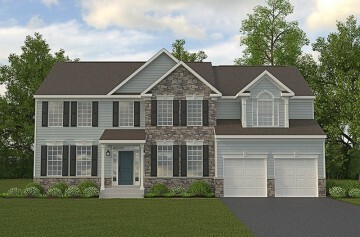 Customize this two-story plan featuring a basement w/ 2 car garage, 4 bedrooms, 2.5 baths.